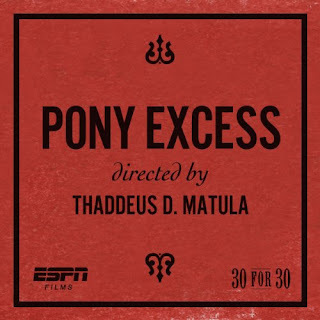 ESPN's 30 for 30 series has been one of my favorite projects since it started. Until a few days ago, my favorite by far was "The U" - the story of the historied Miami football program. But that was until I watched the most recent and last installment of 30 for 30. I was told this was a good one, but it beyond surpassed my expectations. 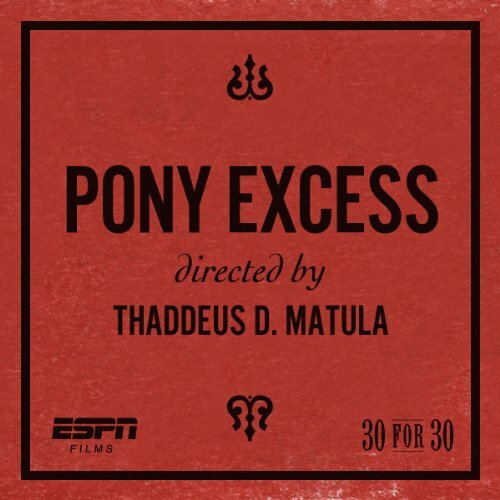 For those who don't know much behind this story, Pony Excess is the tale of the once college football leaders, the Southern Methodist University Mustangs located in Dallas, Texas. Football was, and still is, like a religion to most Texans, and SMU was The U before the U. They were the best team in college football - which means they had to be cheating. How else would they get their Pony Express: Craig James and Eric Dickerson? This 1 hour & 46 minute documentary tells the story of SMU football, and how the death penalty destroyed their hopes of recovering from scandal after scandal. A++.